According to a report titled “Institutionalisation of Analytics in India: Big Opportunity, Big Outcome”, published by National Association of Software and Services Companies (NASSCOM) in partnership with Blueocean Market Intelligence, the analytics market in India is expected to more than double to $2.3 billion by the end of 2017-18. As organizations both big and small realize the value of data-driven decisions, the demand for skilled analytics professionals will only move upward. However, the supply side is still very limited. A McKinsey Global Institute Study projects that by 2018, the United States alone could face a shortage of 140,000 to 190,000 people with deep analytical skills as well as 1.5 million managers and analysts with the know-how to use the analysis of big data to make effective decisions. To fill this talent deficit, several prestigious B-schools have launched analytics programmes to equip professionals with the right skillsets. But most of these programmes are part-time or one year courses. Recently, IIM Calcutta, IIT Kharagpur & ISI Kolkata jointly launched a Two Year Full Time Programme in Analytics. To cater to this growing market and develop well-rounded professionals who are equipped with all the right skillsets for an analytics role, BML Munjal University (BMU), beginning this academic year, is launching a two year full time residential programme of MBA in Business Analytics. The programme has been designed in association with IBM. An IBM Business Analytics Lab has been set up at the BMU campus. IBM will be providing the relevant software and training based on Predictive Analytics using IBM SPSS, Descriptive Analytics using IBM Cognos, and Big Data & Analytics using IBM InfoSphere BigInsight. The programme is being mentored by Imperial College London. During summer, students will pursue an 8-week credit-based course, which will include the option of spending 3 weeks at Imperial College London. Typically, students who are interested in this programme should have studied Science, Mathematics, and Engineering at the graduate-level. However, candidates from other disciplines are also eligible to apply. Shortlisted candidates will be called for a personal interview and group discussion. The tuition fees for the 2 year programme is INR 9.25 lakhs. The Ist year fee is INR 4.50 lakhs and the IInd year fee is INR 4.75 lakhs. Merit-based scholarships are available for deserving candidates and will be offered on a first-come-first-serve basis. BMU has also made arrangements with State Bank of India and State Bank of Patiala for speedy sanction and disbursal of educational loans to students. Hostel and related fees can be viewed on website of BML Munjal University. 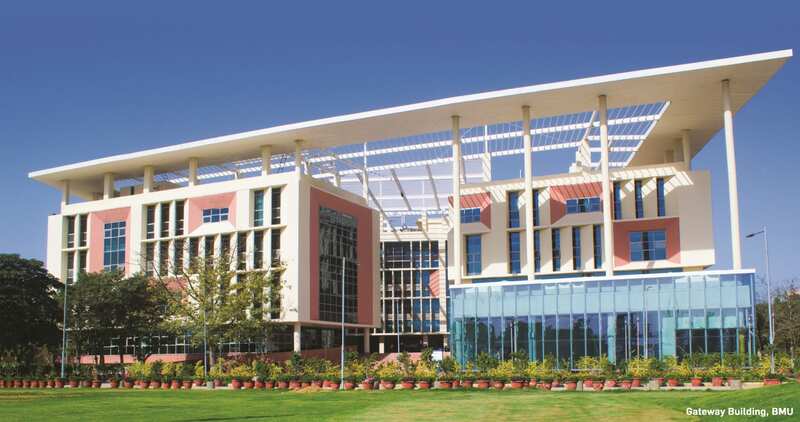 BML Munjal University, (BMU) is a unique and innovative educational initiative of The Hero Group – the US$5 billion business conglomerate. A fully residential and co-educational university, BMU is located at District Gurgaon on NH-8 (50 km from the Delhi International Airport). Named after The Hero Group co-founder and Chairman, Brij Mohan LallMunjal, the University aspires to nurture ethical leaders who are skilled, knowledgeable and have the life skills required for leading their organizations to success. The university shall seek the advancement and dissemination of practically oriented knowledge benchmarked with the best global standards. The inaugural academic session commenced in August 2014. Currently, there are 300 students among the three schools of BMU – School of Management, School of Commerce, and School of Engineering and Technology. BMU offers BTech, BBA, BCom (Hons) and MBA programmes. For more details on the programme, visit here. How Analytics can help the Hospitality Industry?